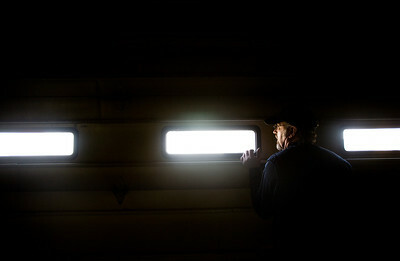 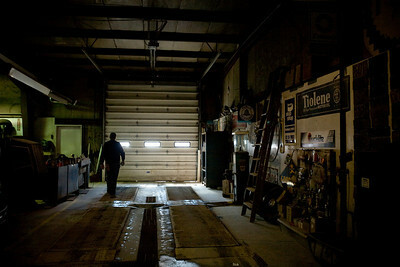 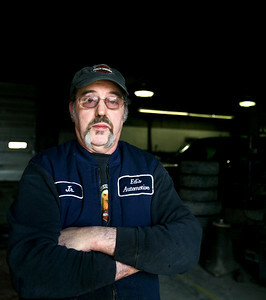 Ed's Automotive owner Jim McGrath, known as Junior, opens a set of garage doors to let out a truck that he just inspected. 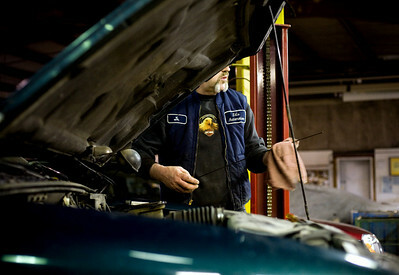 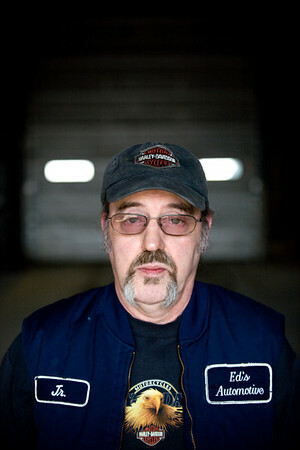 McGrath has worked at the shop for 25 years and has been an auto repairman for over 40 years. 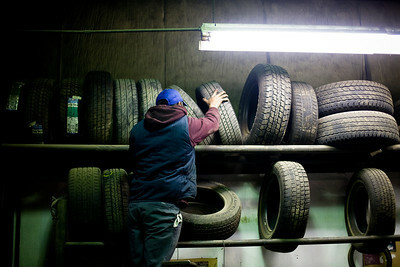 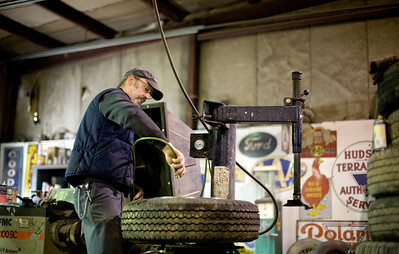 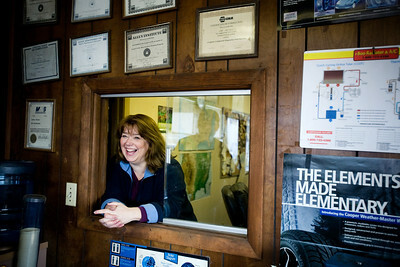 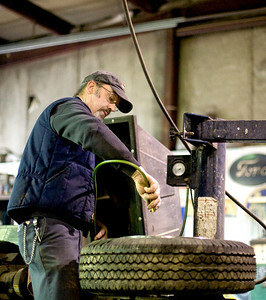 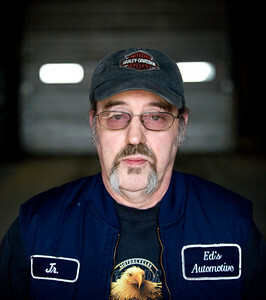 Ed's Automotive has been in business in Woodstock for 48 years.